AT&T CEO Randall Stephenson called his company's decision to hire President Trump's personal lawyer a "big mistake." AT&T's top lobbyist is stepping down. A copy of Stephenson's message was obtained by NPR. The company says it plans to reorganize itself: Its legislative affairs office will now report to its general counsel's office. The leader of that office, Senior Executive Vice President Bob Quinn, is retiring, Stephenson said. AT&T is the second of Cohen's onetime clients to publicly regret paying him; Swiss pharma corporation Novartis also called the relationship a mistake on Thursday. Cohen appears to have been selling himself based on access he said he could provide to Trump. He made millions of dollars from AT&T, Novartis, Korea Aerospace Industries and an investment management company, Columbus Nova. Those revelations were part of a document released on Tuesday by the attorney who is suing Cohen and Trump on behalf of adult film actress Stormy Daniels. The attorney, Michael Avenatti, detailed some payments based on what appear to be nonpublic sources he hasn't identified. He also hasn't said how he got them. The Treasury Department's inspector general's office has said it is investigating whether anyone in officialdom was involved with giving nonpublic bank records to Avenatti. Attorneys for Cohen said this week they had no reason to believe Avenatti had the information lawfully. Time Warner, with which AT&T wants to merge, owns CNN. Trump has sometimes singled out CNN as part of his criticisms of the news media. 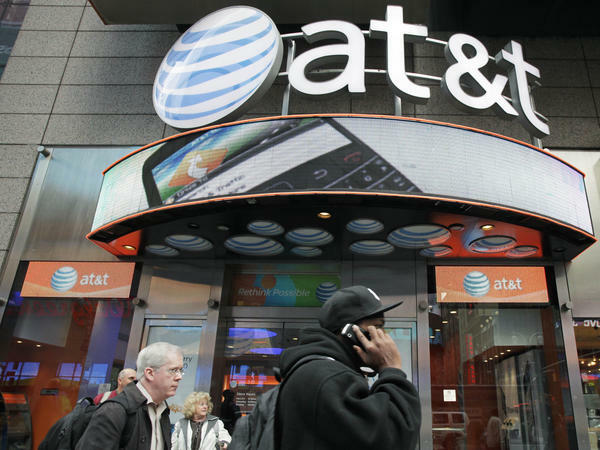 Antitrust officials within the Trump administration are trying to block the merger, and AT&T leaders thought Cohen could help them.